Who is Louise Brown and why should we care that she's turning 40? 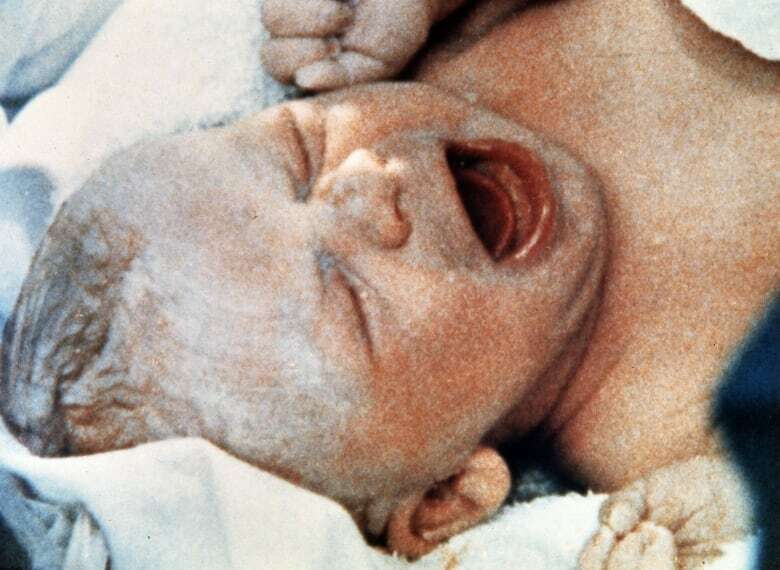 She was the first baby ever conceived using in vitro fertilization. In the early 70s, in the British town of Oldham, her parents, Leslie and John Brown, desperately wanted children. But Leslie was diagnosed with blocked fallopian tubes. For nine years the couple struggled with infertility and eventually lost all hope. But then they crossed paths with a couple of doctors who would change their lives forever: Dr. Patrick Steptoe and his colleague Dr. Robert Edwards. The doctor duo, as it happened, were going through struggles of a different kind. They were dealing with a groundbreaking and controversial idea: How to remove a woman's eggs without damaging them. Then they needed to combine those eggs with the partner's sperm and successfully implant the embryos back into the woman. It may sound routine by today's medical standards, but back then it was considered a medical miracle. And here's the kicker: It almost didn't happen. 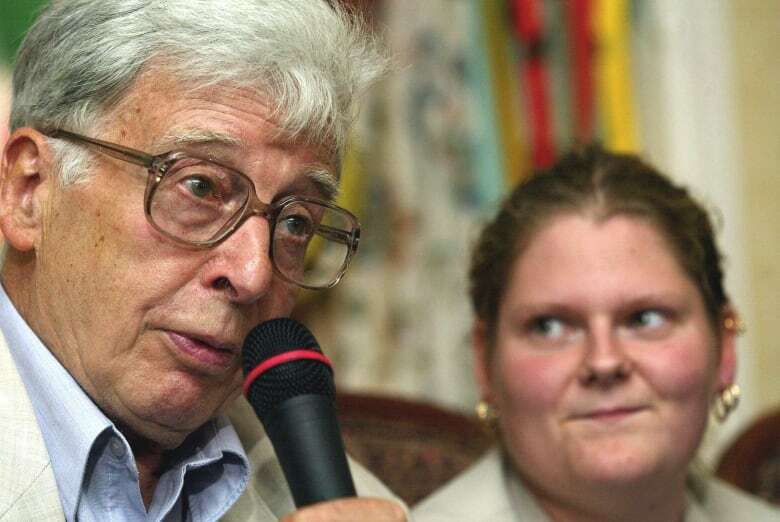 Steptoe has since passed away, but his son, Andrew Steptoe, recalls those early days as being full of failure — "Quite a number of years of frustrating time with things not working well," he says. His father's early attempts at helping several of his patients conceive through IVF hadn't worked. On top of all of that, he was about to be forced into retirement. "He was really up against the clock," says the younger Steptoe. But then it happened. 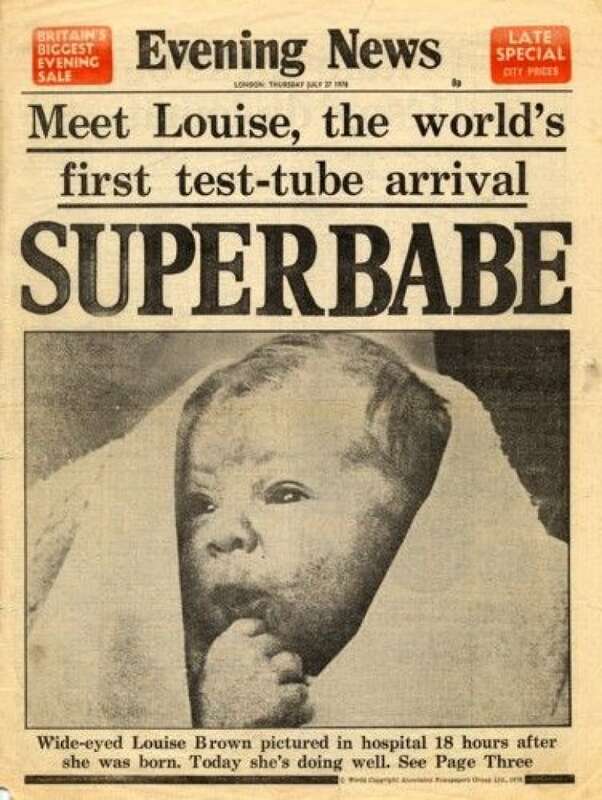 Leslie Brown became pregnant, and gave birth to the world's first IVF baby, Louise Brown. Brown's birth was celebrated on the cover of Britain's Evening News in 1978. Forty years, and at least eight million IVF births since, Andrew Steptoe has a pretty good idea how his father would have felt. "He would be delighted with how many people have benefited from this and the joy it has engendered and I think that is a fantastic legacy for him," he says. Louise Brown and Andrew Steptoe aren't the only ones celebrating her big 4-0. More than 12,000 doctors from around the world marked the special occasion in Barcelona, Spain, this week. They attended the annual meeting of the European Society of Human Reproduction and Embryology. Despite huge advancements in IVF technology, a lot of the talk at the meeting had to do with how much is still unknown. Several studies — yet to be published, but presented at the conference — questioned the benefits of many common procedures. "It's always two steps forward and one step back with all this stuff", says Dr. Tom Hannam, a Toronto-based fertility doctor who was at the conference. Hannam says he's not surprised that some current practices don't work. One study looked at the benefits of something called endometrial scratching. It's a commonly used practice for women who've had multiple IVF failures. The idea is tiny scratches in the womb will cause inflammation making it easier for the embryo to implant into the uterus. The study looked at 1,300 women in five countries and found no benefit to the moderately painful procedure. "As is often the case, the small studies look promising but the bigger data is coming back and it never seemed to work," says Hannam. Another study focused on sperm quality and the potential benefits of vitamins. It's common for fertility doctors to recommend vitamins to men with poor sperm, but researchers at the University of North Carolina found they made no difference. Still, Hannam says he'll continue to give vitamins to his patients because other studies have shown they can make a difference. "The jury is still out on this one", he says. Then there are multiple miscarriages. These are devastating, and in many cases, doctors are still trying to figure out why they happen. There's one theory that says the uterus is rejecting the embryo by mounting an immune response. Doctors have been prescribing medication to suppress the immune system but here again the latest research says it doesn't work. Hannam isn't discouraged by all this. Doctors learn from those failures, he says, and focus instead on things that really do work.